Build your own voxel-based world from scratch. Sandbox worlds charm people for a reason - they let people’s imaginations run wild and free. In here, you’re basically free to do anything and to create anything that you want out from the easily available materials in the world. That’s the exact reason why you’d certainly love PlayLabs’ WorldCraft. This sandbox game is a three-dimensional, voxel-based virtual world that builds on the popularity of such games in today’s generation of gamers. It even has a plotline - a group of survivors find themselves stranded in an alien island, and now it’s up to them to find ways to survive. How does one do that? Well, live off the land! At least, that’s the premise one can enjoy from this amazing mobile sandbox world. Yes, this game is designed to be played by those that love to build worlds out from scratch anytime they feel like it. It’s available for both Android and iOS, and even Windows. So, what are you waiting for? Go ahead and make that download. There’s a world waiting for you to explore. There are two ways to enjoy this sandbox game. You can play Single Player, and go against AI creatures. Even in Single Player, you can choose between Survival and Creative modes. Survival plays the storyline, and you have to find from the land everything that you need in order to survive. You’d also encounter creatures like hogs (rendered in blocky pixel imagery), and plants like flowers, and many others. In both modes, you have the absolute freedom of crafting anything from everything that you find in the sandbox world. You can remove or add blocks simply by highlighting them with your finger, and pressing and then holding your finger over that spot. In the same way, if you have weapons equipped, you can attack and kill monsters that will make their appearance at one time or another. 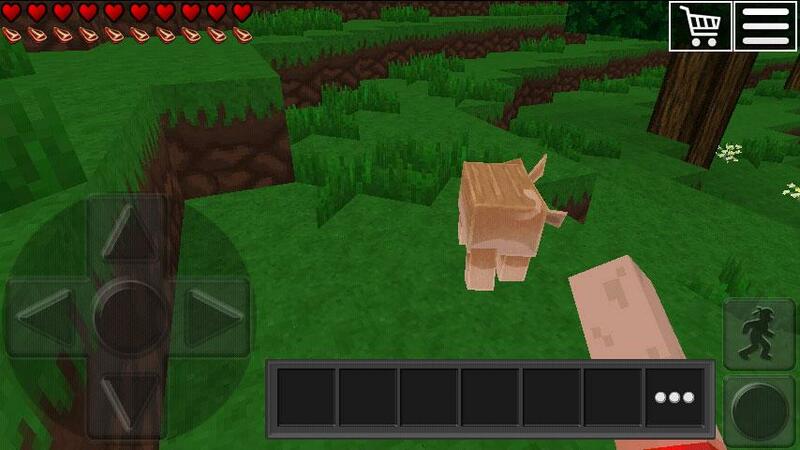 You can also attack animals and collect their meat for food. Aside from single player, you have Multiplayer mode. There are various rooms available for people to explore, and all of these were created by other players for their fellow World Craft gamers. The rules remain the same, but the landscape is truly different and has been 100% personalized. 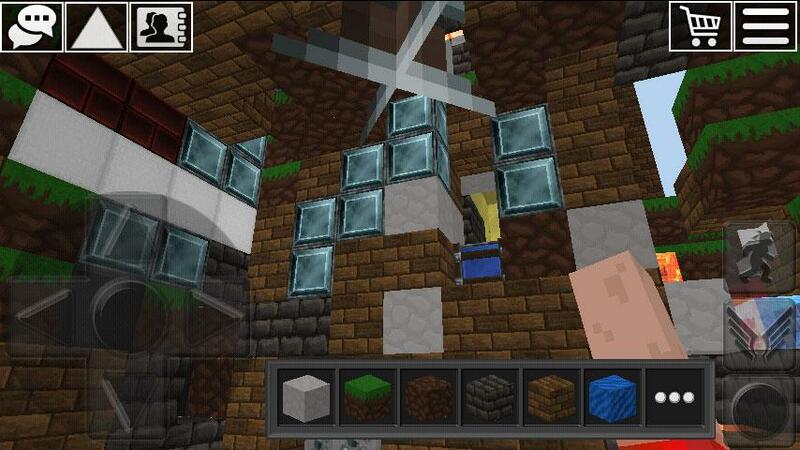 You can also build and modify the multiplayer world as you wish. However, some worlds require you to obtain permission from their creators in order to do so. You’d also be amazed at how smooth and easy the controls are in this game. There’s an on-screen directional pad at the left side, which you can use to make your character move forward and backward. There’s a center button that you can press to make your character jump, but there’s a secondary button at the right side of the screen devoted exactly to that purpose. With an easy-to-master user interface, blocky and pixelated graphics that have endeared voxel-based games to people’s hearts, and a unique storyline, how can you go wrong with World Craft?